Ken SegallFormer Apple Agency Exec Ken Segall. 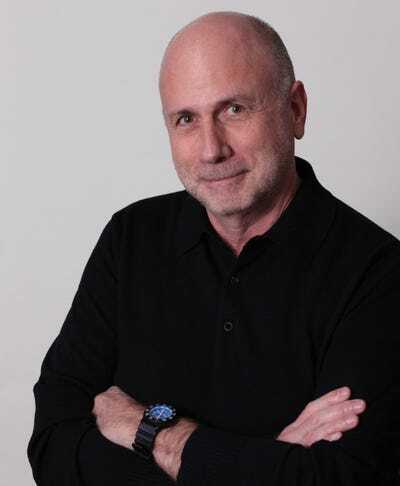 Ken Segall says Apple’s advertising has become “soft” and “ordinary.” Those are harsh words — Segall worked alongside Steve Jobs at Apple in the 1990s in his role as creative director at advertising agency TBWA/Chiat/Day. He put together some of Apple’s most iconic campaigns, including the “Think Different” effort that was credited with turning Apple’s corporate image around. And he named the iMac (Jobs had originally wanted to call it the “MacMan,” but Segall persuaded him otherwise). In recent years, however, Apple’s advertising hasn’t been that great. Its most memorable recent campaigns were the longrunning “Mac vs PC” ads and its dancing silhouette work for the iPod. Both those campaigns ended years ago. Since then, Apple’s ads have mostly shown its products against a white background, along with a catchy song. (There has been some generic corporate image work, too.) They may have been effective in helping launch the iPhone, but it’s been years since Apple put out a really defining campaign that matches up to the Jobs era, according to Segall. Business Insider: What do you think of some of Apple’s most recent non-product advertising campaigns, like the “Designed by Apple in California” push, which it launched in 2013 but hasn’t repeated since. Does that show a lack of marketing confidence from the brand? Ken Segall: Apple is so over-analysed: People put so much importance in different things that may not have importance [to the company’s bottom line], like some of the content of the ads in the last couple of years. But what people fail to realise is that some of these campaigns have happened when Apple has had nothing to say. That’s when things like “Designed By Apple In California” came along and softer ads like [the campaign for] people using the iPad. They did not have much edge. My current example of this kind of “ordinary” ad would be the “Your Verse” campaign. It felt very much like a “big company” campaign, in effect just saying that people all over the world are doing amazing things with the iPad — but they’re also doing amazing things with Samsung tablets. This campaign didn’t give iPad a personality, nor did it have any kind of Apple-esque edge to it. It’s the kind of advertising that makes current iPad owners feel proud, but does little to attract new customers or generate any buzz. BI: And what about recent campaigns when Apple has had something to say, like for the new iPhone 6 and iPhone 6 Plus? KS: The last couple of years have been kind of soft. The Timberlake and Fallon iPhone ads, there’s a whole lot you could criticise about those ads. The obvious comparison would be that it was in the spirit of the “I’m a Mac” campaigns. But it was not quite as legendary and great. It wasn’t an “us versus them” so that edge Apple had has got a bit rusty. The [iPhone 6 and 6 Plus] ads just were not as funny as they could have been. And also you have two famous people starring in them, but most of the world did not know who was talking. It was very anonymous. I think they are OK ads, not amazing. BI: Who’s to blame for the apparent lack of edge? KS: The popular story is that Apple is taking most of its advertising in-house as the agency people are not getting along with [Apple SVP of worldwide marketing Philip] Schiller. When your client is not enthralled with you, you tend to treat advertising with more care and with the concern of not rocking the boat too much. I like to believe the [Apple’s advertising agency] TBWA crowd does have a creative backbone … but business is business. If the relationship with Schiller is strained, that does effect the work you’re doing. I would love to be a fly on the wall! 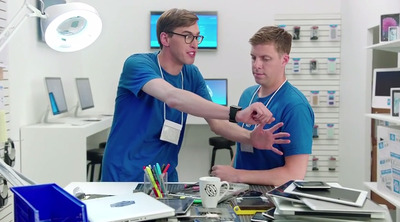 There was that classic moment during the Olympics when Apple launched those Apple Genius ads. Those ads were awful by any measure, with all kinds of cat calls to competitors and I just have no idea how a campaign like that could even come out of Apple. I’d like to know who pushed for that. 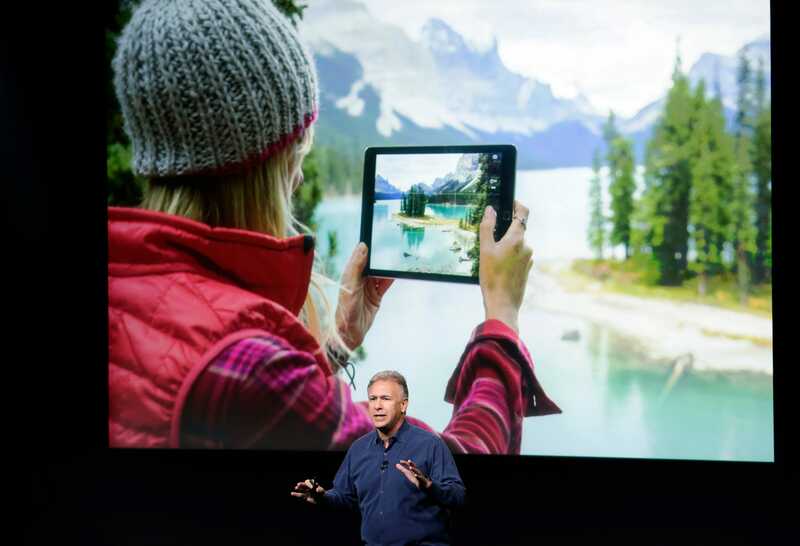 BI: Has the relationship always been so strained between Apple and its ad agency? Steve had confidence in his relationship with the agency. He would say, outright, “this is crap” or “this is great” and you could debate. And sometimes we won those debates, although he was always opinionated. Most other people in advertising don’t have that confidence. They look for a second opinion. Most people will hold up a good idea to a list of points they want the advert to make. That’s not the way it would have ever worked with Steve. We would come in with a great idea and he would say “I love this!” and forget what the ad was originally set out to do. He trusted in the great idea. That confidence in marketing may not be there now. There seems to be that need to get more people behind the idea before it goes forward; that’s why you’ve started seeing more calls to action [in ads] and more campaigns. That may be one reason why Apple’s advertising became a bit more ordinary without Steve. BI: Do you think Apple is also looking over its shoulder more at the rise of Samsung in the smartphone market? KS: Some of the recent Samsung ads have done what Apple did to Microsoft in the “I’m a Mac” campaigns. But often they can really be a dud, too. They spend three to four times as much on advertising than Apple. And Apple are up against this perception that they’re failing to innovate and that Samsung is the true innovator, so you could say it’s been a perfect storm. But now even Samsung has had quarters of declining sales. KS: Apple screens are at last as big as others and people are flocking back as a result. The watch is really interesting because people asked the “what would Steve Jobs have done” question; they say that he would never have created a product with so many versions, that he would have just done one killer model. But when Steve passed away it was that beginning of a new era for Apple. A good analogy is Walt Disney, when he died the company focused itself and rose up in a way he might not have ever imagined. That’s perhaps true of Apple as well, although I did not expect it to happen so soon. But Steve Jobs might not have imagined the world we are in now and that these products need to be done differently. BI: How should Apple advertise the Watch when it goes on sale next year? 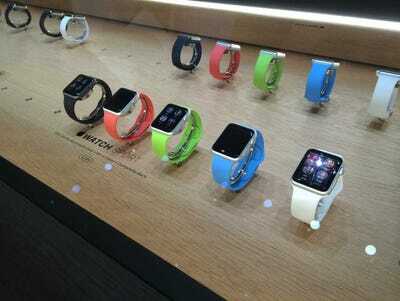 Business InsiderThe Apple Watch, of which there are many different versions. It should be object-of-lust advertising. If you look at the outdoor ads Apple has done for the iPhone, it’s just the phone, “Here’s the iPhone 5C.” In the old days they would have included some clever copy but I think it will very much be “Here’s the Watch.” That brief. With the Watch that will probably be enough because there will be so much buzz around it they won’t need to say “here’s how it works.” The TV can be more explanatory if needed. Apple do dabble with celebrities and there’s been some conjecture that they are lining up a big model to be their spokesperson. But I find that really surprising. Like the iPhone, there will be such an incredible buzz that they really don’t need to have a whole lot more saying “look how gorgeous this is”. Word of mouth, at no cost, will do the talking for them. BI: Steve Jobs was a huge personality at Apple. Is there a need for Apple’s top execs to have higher personal profiles now? APApple SVP of worldwide marketing Philip Schiller on stage. KS: Part of the Apple core is that they do have interesting people. Tim Cook has done a reasonable job of becoming the official voice of Apple, but I don’t know if the public see him as that, not as much as they did Steve Jobs. 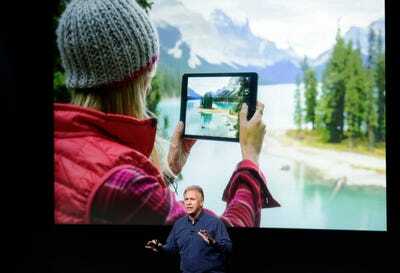 Phil Schiller is a really smart man and he can be very entertaining and spontaneous. 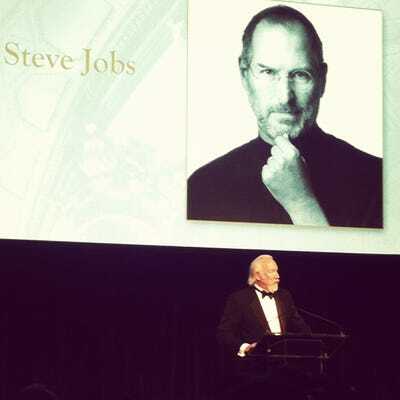 His interactions with Steve at keynotes of the past were some of my favourite moments. He is a terrific product guy, but he doesn’t have the level of taste or marketing savvy that Steve had. Perhaps that’s an unfair comparison. because Steve rated off the charts in both of those areas — but in his current position, that’s the comparison people make. And, despite his brains and sense of humour, he’s a bit lacking in charisma department. Craig Federighi [Apple’s SVP of software] has done a good job, people seem to be impressed with his on-stage demonstrations. But it’s surprising that Jony Ive [SVP of design] doesn’t do the demonstrations, it does not seem like he has that kind of confidence. BI: What’s your favourite Apple advertising push you worked on? KS: That would have to be the “Think Different” campaign, which stands out in Apple history because it was a pure brand campaign. We never showed a single Apple product in it. This was the first campaign we did when Steve returned to Apple, and its purpose was to simply tell the world that the spirit of Apple was alive and well and to set the stage for the revolutionary products to come. By the way, we had no clue what those products would be, but we took Steve’s word that amazing things were to come. The idea of the campaign was simple: we would celebrate the lives of people who changed the world. And when you tell the world what kind of person you admire, it says a lot about you.